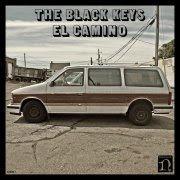 It's only less then a week that the Black Keys will unleash their new album, 'El Camino' on December 6th. Are you all excited about it? I might freak out a lots of people with this news. The official website announced that the Akron rock due will go back on the road in North America with... (Wait for it)... Arctic Monkeys. Toronto date is on March 14th, 2012 at Air Canada Centre.